but there is also a GSM variant. We first got our hands on the Touch Diamond back in June and came away rather impressed. It offered just about everything we could want in a device, including the slick TouchFLO 3D interface. While the GSM version we reviewed has yet to find its way to the States, short of importers such as Decho Wireless, Sprint has taken the lead and is the first carrier to offer the Diamond. As you might expect there are a few notable differences between the GSM and CDMA variants, but for the most part Sprint and HTC have wisely kept true to the original. The CDMA Touch Diamond softens the sharp lines of the original. Gone is the hard plastic faceted back, replaced with a soft touch, deep burgundy version of the battery door found on the Taiwanese Victor. Telus Canada has chosen to go for a black version, but honestly we like the red. It looks much better in person than in press shots, and it gives the Diamond some personality. 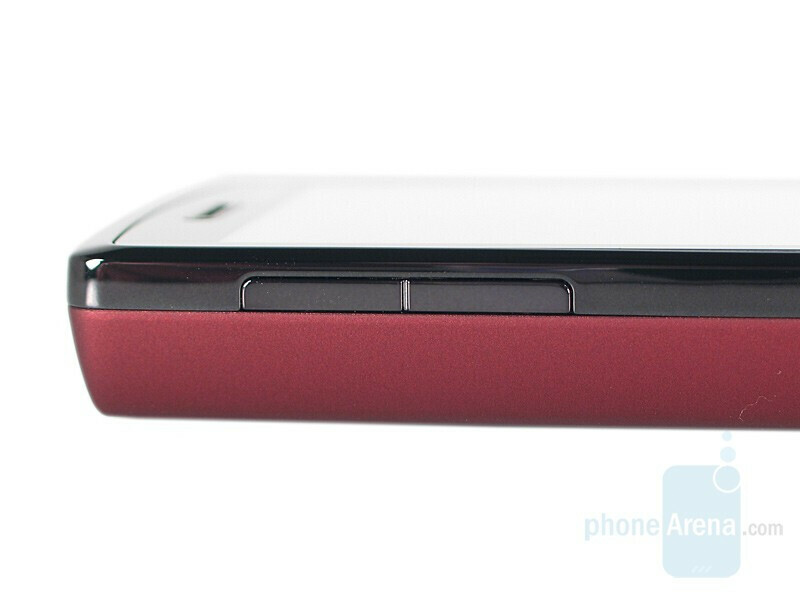 It is 2.5mm thicker than the GSM version, but that is because the CDMA Diamond ships with a beefed up 1350mAh battery. You can compare the HTC Touch Diamond CDMA with many other phones using our Size Visualization Tool. The GSM Diamond is very angular, with sharp corners and straight lines throughout. The CDMA version has a soft rounding to it, both at the top and bottom as well as the line that separates the controls from the screen. The bottom buttons are still flush but clickable, and the slightly tweaked d-pad is a jack of all trades. It can be clicked in the traditional 5 ways, but the center is also proximity sensing and the outer edge can be used for touch scrolling. The four buttons (Home, Back, Send and End) as well as the d-pad ring light up a cool white when being used, or simply by bringing your finger near the center pad. The stainless steel frame is dark black, and the only buttons on the side are the volume rocker on the top left side and power button to the left of center on the top. The keys are flat and the travel shallow, but easy to press. “HTC Innovation” remains printed on the left, but the “4GB Internal Storage” originally found on the right side is now gone. The frame has gone seamless and smooth for the CDMA version. To the right of the power button, in the center of the top, is the Diamond’s single speaker. Despite not being stereo it is surprisingly good, with plenty volume and good highs. It’s somewhat thin and lacks bass, but as it’s not a high-end music device we aren’t expecting a high-end listening experience. The back is very simple, and while some argue that faceted back is a defining feature of the Diamond we are happy to see the cleaner Victor battery door. 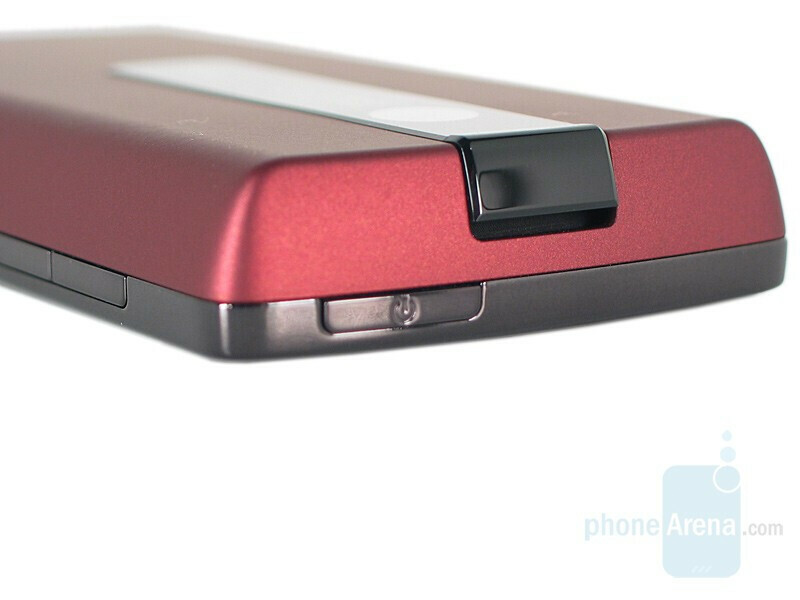 The 3.2 megapixel camera sits near the top, and black housing that runs a strip halfway down the phone encases it. Soft touch paint gives a more reassuring feel, and we think that we prefer the added thickness as well; it is still plenty thin and the original was so tiny it almost felt fragile. The stylus is still held in magnetically, and removing it will wake up a sleeping Diamond. We loved the Diamond the first time around, but the CDMA makeover is a much better product. Color preference aside, the newer Diamond feels better in the hand and is more overall pleasing to the eye. 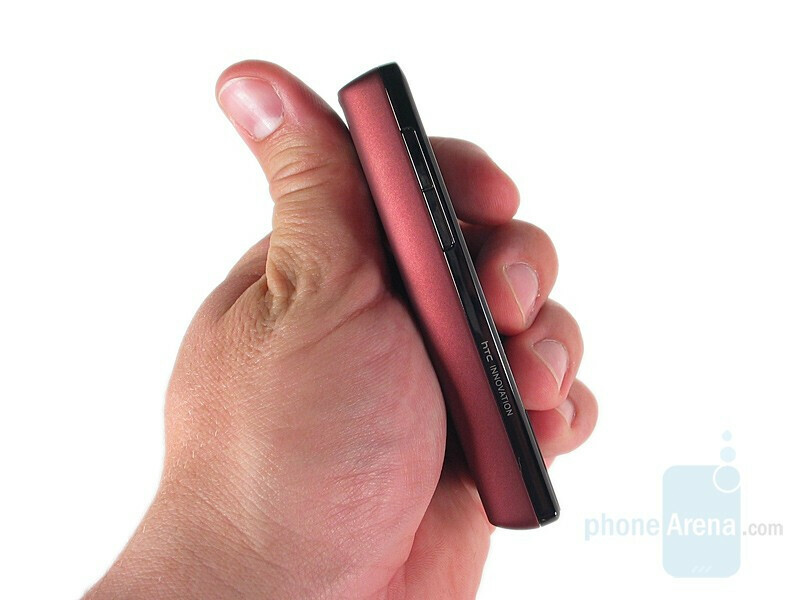 It’s still a tiny device and enhances the understated elegance of the original with the softer lines and smooth edges. We don’t know that there is a better designed phone overall than the CDMA Diamond; it may not be perfect but it balances fashion, feel and function wonderfully. Hi, great review and lots of details which is what I'm looking for. however, I would like to see how Sprint TV fares in this device compared to Instinct; as well as handwriting capabilities (as text input)... is it accurate with the stylus or finger? pls pls pls, any information is greatly appreciated. we have rev a coverage in our call center and the sprint tv quality is outstanding, way better than the instinct. Will this phone come in black as well? It seemed there were rumors that it would launch in red but have a black back later. Any info would be appreciated. As for right now, I will have to see a red one in person to see how it looks as every review states that the red looks better in person. Also, any issues with overheating? Thank you for such a great interview. fabulous review. i had this phone since telesales started to sell it. it is marvelous. the best phone period. I've seen other reviews mentioned about the overheating/phone get hot problem... have anyone experience that? the battery does tend to get warm pretty quick making the back of the phone a lil toasty. I've also had the phones since telesales started selling it and I love this phone. In regardless to the saying of the battery over heating. I did alot of researching and tested the theory myself, it's not the battery that's over heating or getting hot. It's the radio that located below the battery area that gets heated, due to the manufactory squeezing it in a small area. To test that theory, when your phone heats up, just remove the backing of the phone and touch the battery, you'll find that the heat isn't there but below/bottom of the phone that gets hot. Thus far, no sulution to this issue. 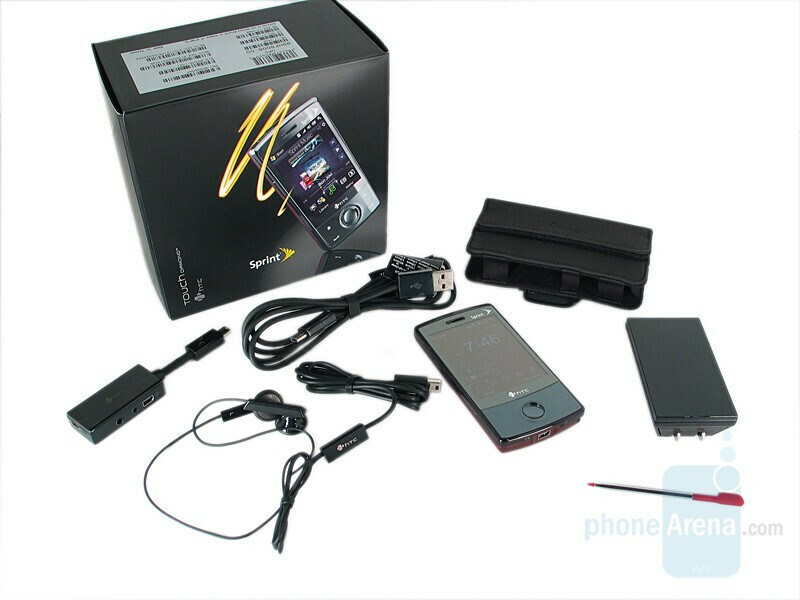 this is the cdma version, you want the gsm unit which they also reviewed a few months back. 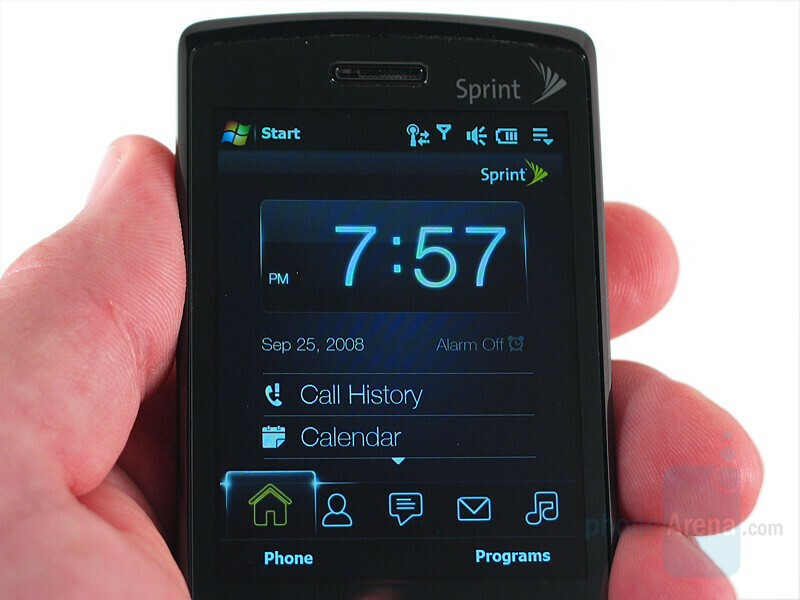 with sprint the blackberry 8830 is your only option if you want to keep the same number. centennial is gsm like the uk, but theyre a small regional carrier and im not sure if their phones are unlocked. i dont know much about them, but you should be able to buy any unlocked quadband gsm phones which you can use both here and there. if you dont care about keeping your number over there (which youll pay a pretty penny for) you could also buy a cheap unlocked gsm phone and a prepaid sim for when you travel to the uk, and get sprint here. Keeping the same number while overseas is way over-rated as roaming charges are truly outrageous. simply get a cheap unlocked phone and buy pre-paid GSM sims wherever you travel.. 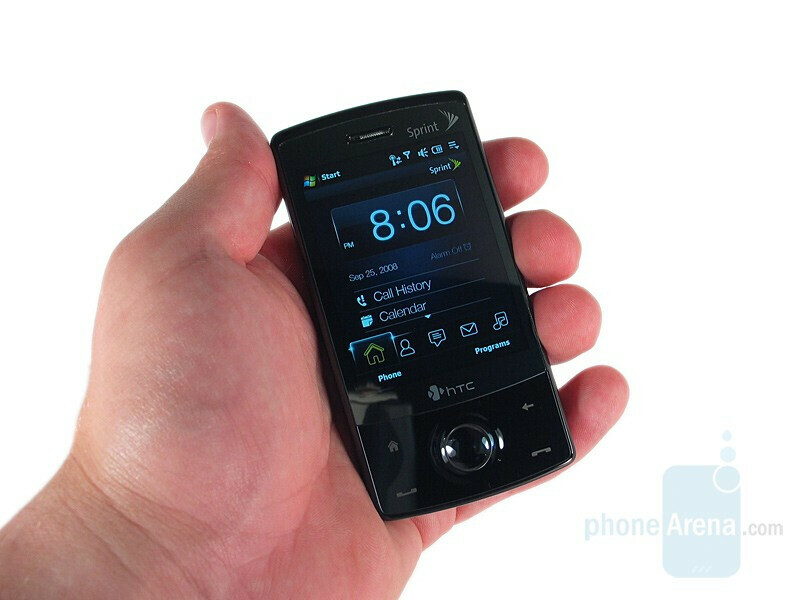 The launch date of the Touch Pro has been pushed to the being of November 08.
iphone who ? blackberry storm who>? go SPRINT! Yuck, Sprint. Once AT&T gets this or the Touch Pro I'm gonna be a happy person. i disagree. I had this phone for a bit and ended up returning it. I hated the phone because text messaging was a pain. HOWEVER, the one thing that I did like was the transcriber text entry. You could print or write in cursive or a combination of both, using the stylus, and it got it right almost 99% of the time. With some tweaking, eventually, it was correct 99.9% of the time. I miss that feature. Sprint needs a new line of phones and their current line up looks pretty bad. Hello, I have seen comments on some sites that the app download can only go to ROM, and not the on-board 4GB RAM, is that true? Has anyone tried this out? any feedback is appreciated. I have downloaded tons of apps and it lets you choose where to put it. I have heard some users losing their internal 4GB Drive when playing around with hard resets, but then being able to get them back. This might be why they are commenting they couldn't put apps on the RAM. I love this phone, i have 10 lines with sprint, and they gave me one for 249.99 Can any one help me if i can load wireless printer software on this to print emails and attachments? I love the programme mp3 trinmmer where i can get mp3 ringer of my own for each contacrs.